For the latest information on protecting your family, home and community from fire, please visit the Sleepy Hollow Fire Protection District website. The SHFPD not only supports our community with information and safety tips, they fund and organize Defensible Space inspections, Vegetation Management, Chipper Days and much more. 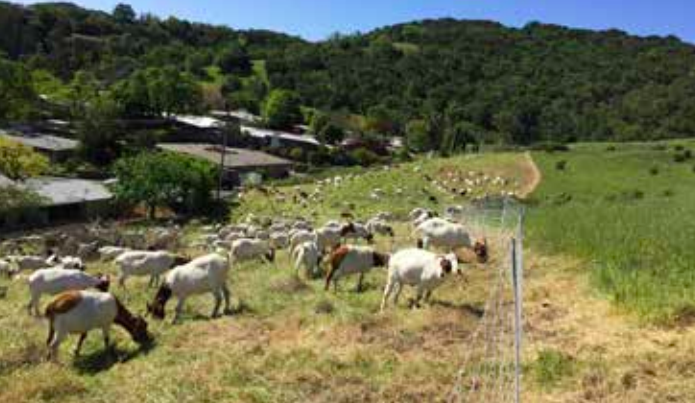 The Sleepy Hollow Fire Protection District (SHFPD), the Marin County Open Space District (MCOSD), San Domenico School, the Triple C Ranch and the Rocking H Ranch have partnered on an ambitious project to create a shaded fuel break on our surrounding ridge tops and to improve defensible space around the San Domenico campus. Two herds owned and managed by the Star Creek Land Stewards were hard at work creating fire breaks by eating grass and other flammable vegetation. Please review the booklet, “Living With Fire in Sleepy Hollow" - a PDF version is available for download here. It contains valuable information regarding wildfire risk, defensible space, and firescaping. Additional information on creating Defensible Space is available at www.firesafemarin.org. 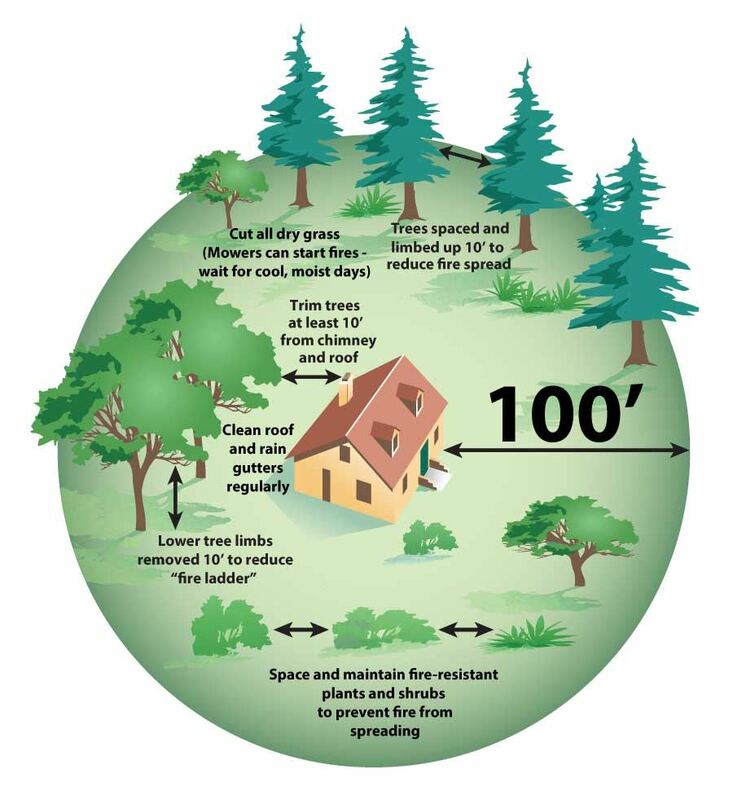 The law requires that all property owners remove the flammable vegetation on your property to create a defensible space of at least 100 feet (PRC 4291). The crews will come by your property, pick up your neatly stacked materials, run them through a wood chipper, and then they will be taken to a composting facility. There is no charge for this service. We can't promise which day our crews will arrive. Thanks for your understanding. STACK MATERIAL NO LATER THAN FRIDAY July 13th! CHIPPER CREWS WILL DISPOSE OF UP TO 5 YARDS OF CUT VEGETATION AT NO COST (APPROXIMATELY 4'X4'X8', STACKED). LARGER QUANTITIES MUST BE PRE-APPROVED BY SELCTING THE CHECKBOX ON THE FORM. Limbs and branches, 1" to 6" diameter, brush, woody material, broom are OK! NO Grass, loose leaves, or soft plants (dispose of these in green cans, please). Stack materials curbside, with cut ends facing the road to allow crews to work more efficiently. Material should be freshly cut (within 1-2 months is ok). "Green" chips are better than old, dry vegetation and cause less wear to the equipment. Crews may leave materials that exceeds the quantity or specifications described.